As balmy breezes become crisp winds and the green leaves change colour with autumn, September brings a positively charged current of change. The longer, lazier days of summer are ending as structure and routine take over. Students settle into a busy new year. It’s harvest time. There’s work to be done, schedules to be organized and goals to be set meetings, clubs, teams, classes, courses and clothing all get a fresh start. Some embrace change, while others resist it. Either way, it’s our habits and routines that determine our success and health. We will be embracing these changes with open arms and hearts this month at the centre. 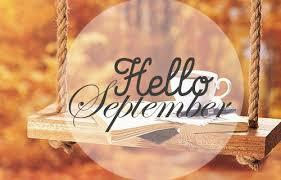 I hope we can make to changes easier for you this September with our added morning and evening classes. The centre will be closing from the 11th to the 18th of September to inject a fresh lease of life onto our busy walls. Don’t dismay we will miss you for that week in the Centre but most of our classes will still be running in our New River Room. As always we look forward to seeing you real soon.